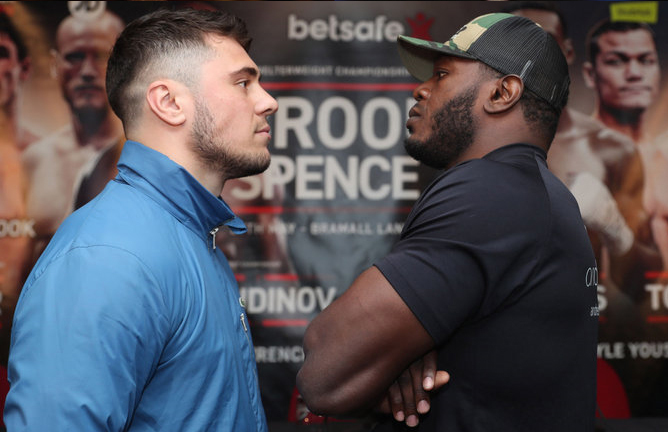 ‘White Rhino’ Dave Allen will take on Lenroy Thomas this Saturday night in the undercard to Kell Brook vs Errol Spence Jr live from Bramall Lane, Sheffield, on Sky Sports Box Office. And the 25 year old heavyweight, who will have his 15th fight this weekend, is confident he will become the new Commonwealth champion in his first major title bout. Speaking in the press conference ahead of the fight, Allen was bullish and confident he will become the champion. The fight will be an entertaining and brutal clash as both boxers look to take the vacant Commonwealth title back to their respective camps.